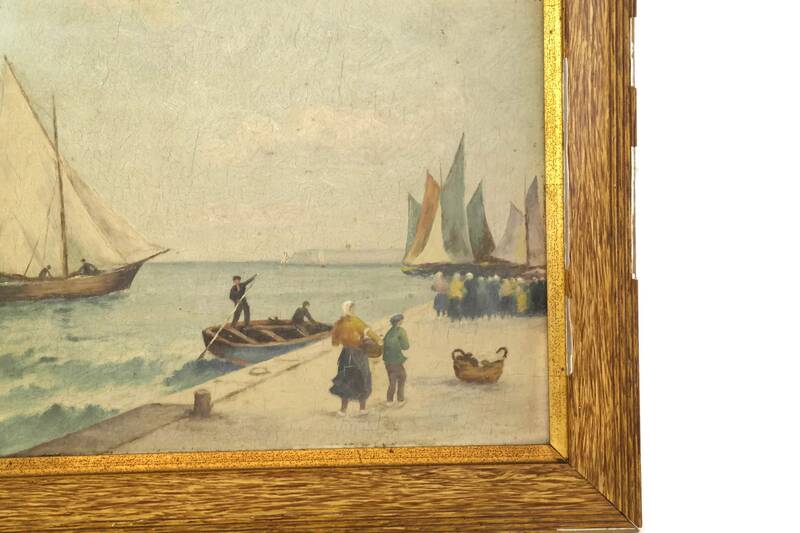 Antique French Breton Coastal Painting. 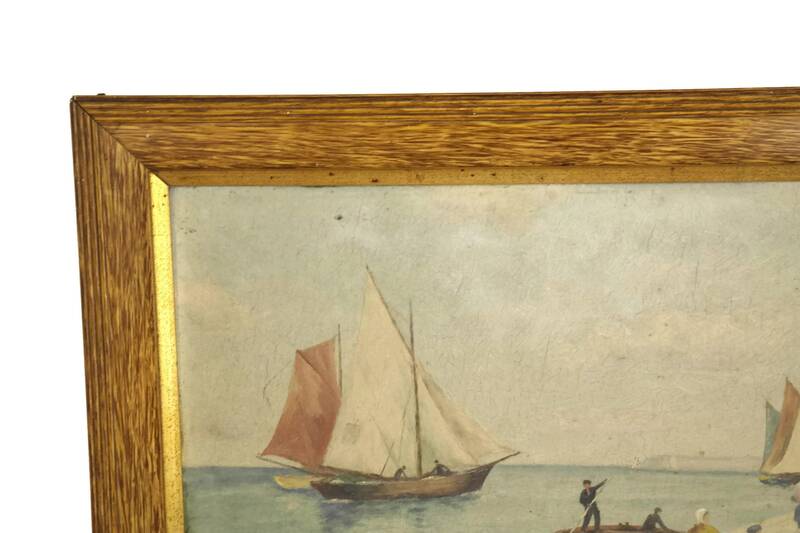 Original Nautical Wall Art. 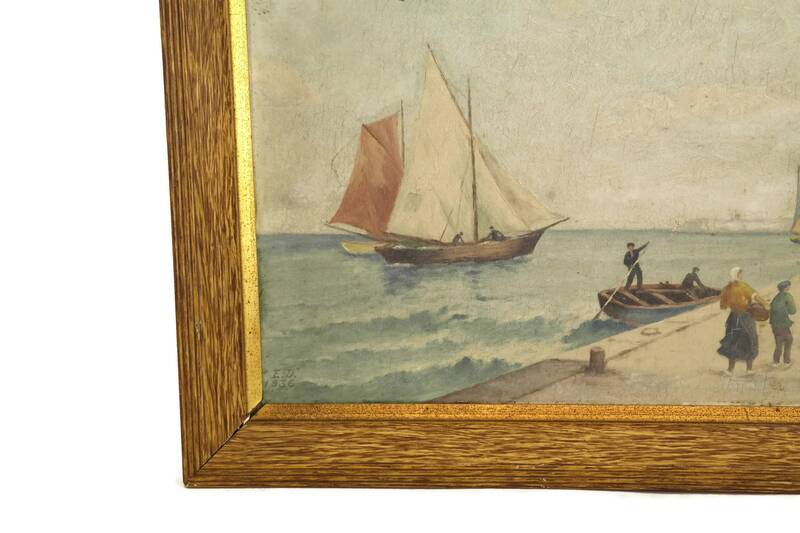 Signed Original Sailboat Gouache. 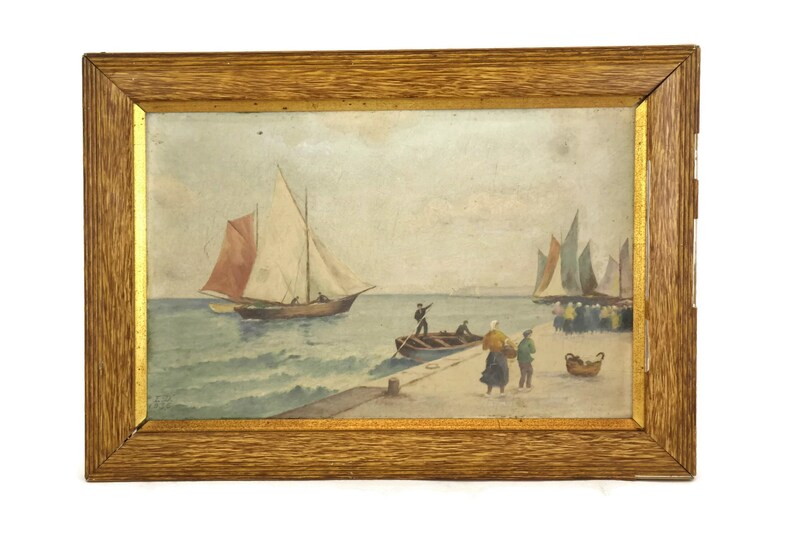 Framed Seascape. Office Decor. 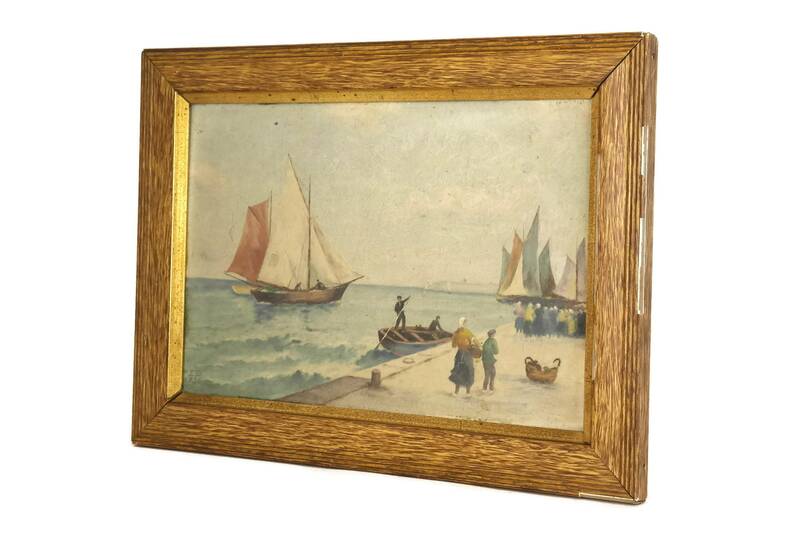 A lovely antique French Breton coastal painting created in the 1930s. 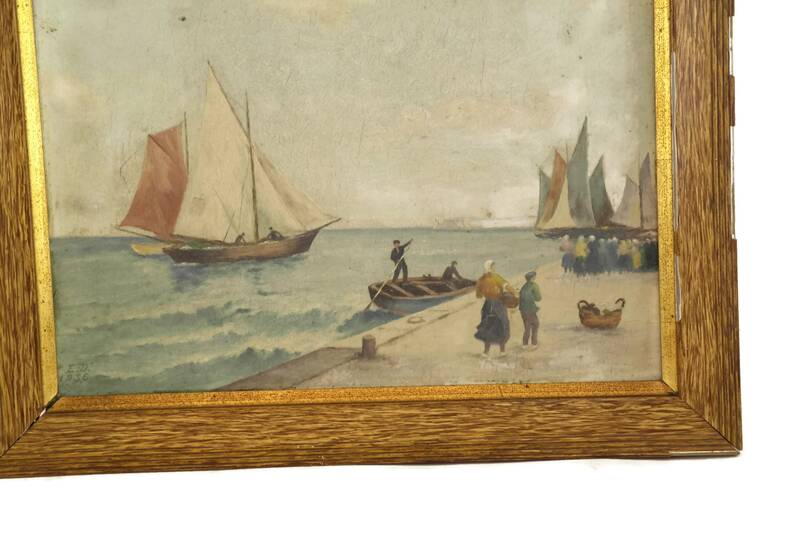 The original nautical wall art has been painted in gouache in a palette of pastel shades. 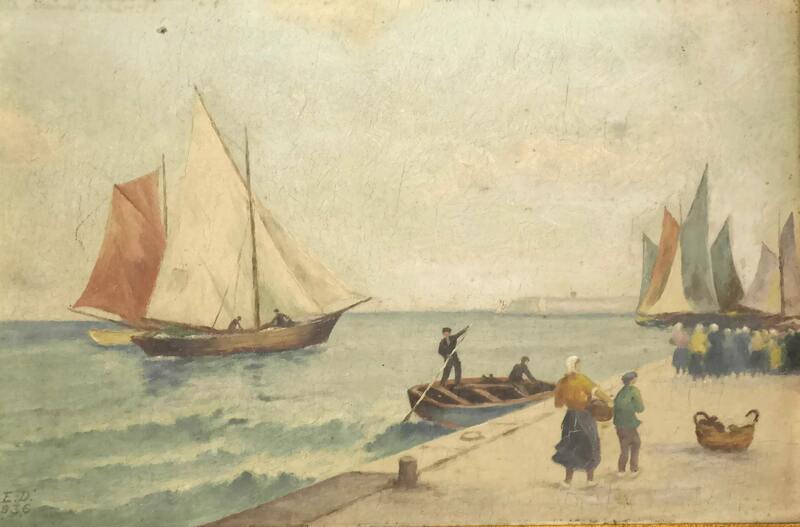 It features a seascape on the Breton coast with a group of sailboats and people walking along the quai. 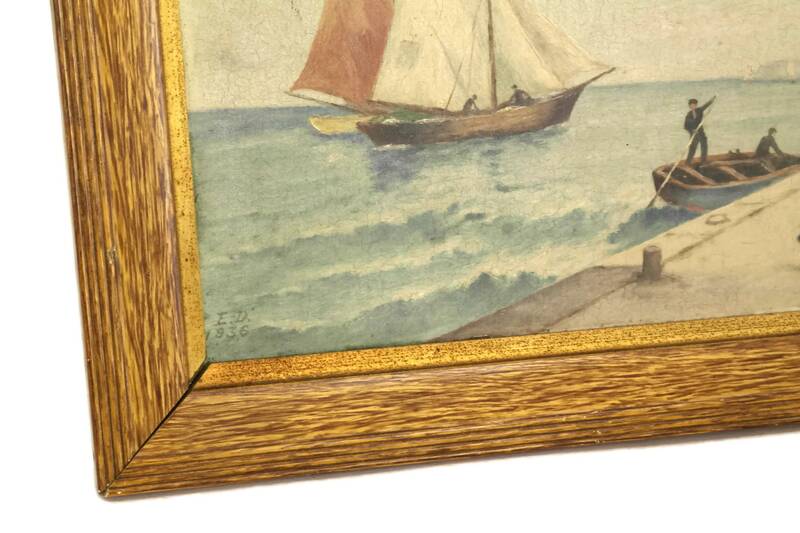 The work has been framed in an elegant wood and plaster frame decorated in a shade of golden brown. 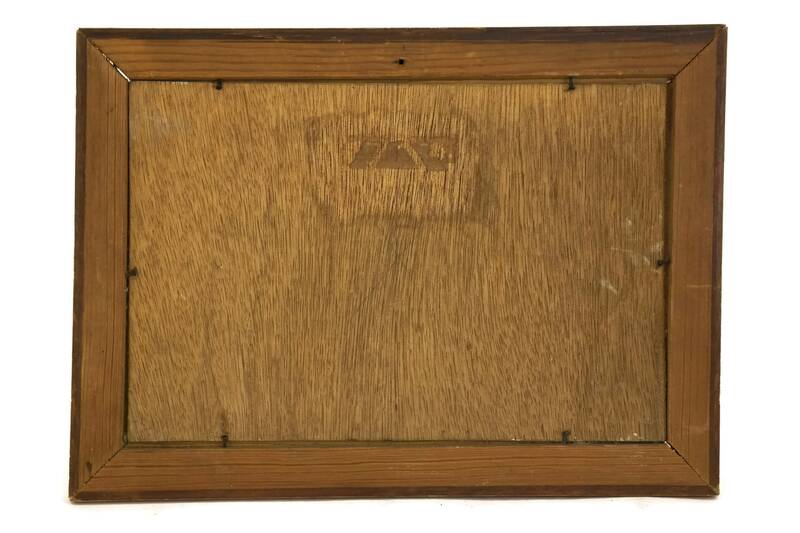 It has been signed with the initials "E. D." and dated "1936" in the bottom left corner. The seascape painting is 9 1/2" Wide x 6 1/4" Tall (24 cm x 16 cm). The frame is 11 1/3" Wide x 8 1/4" Tall (29 cm x 21 cm). The painting is in very good condition with some signs of age and wear including light surface marks and scratches to the painted surface. 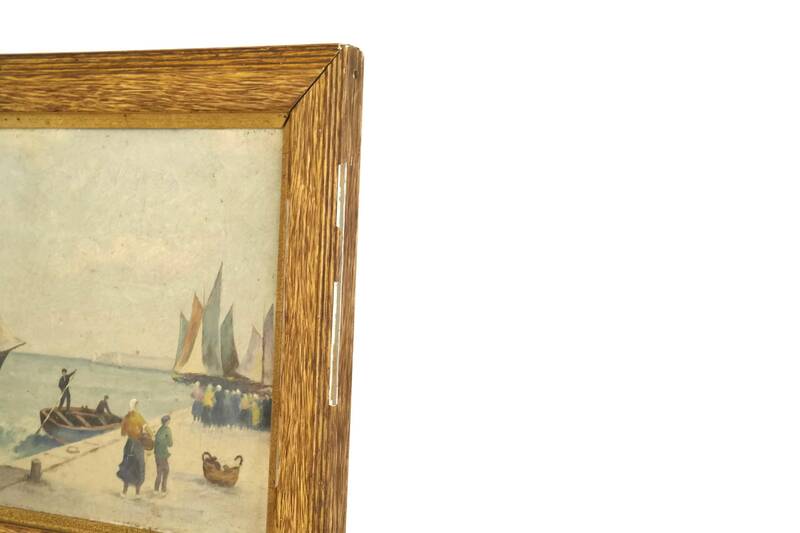 The frame is worn with flakes to the plaster on the edges and sits at a slight angle.